Secondary and middle schools CPD event on inspiring pupils through creative music-making! 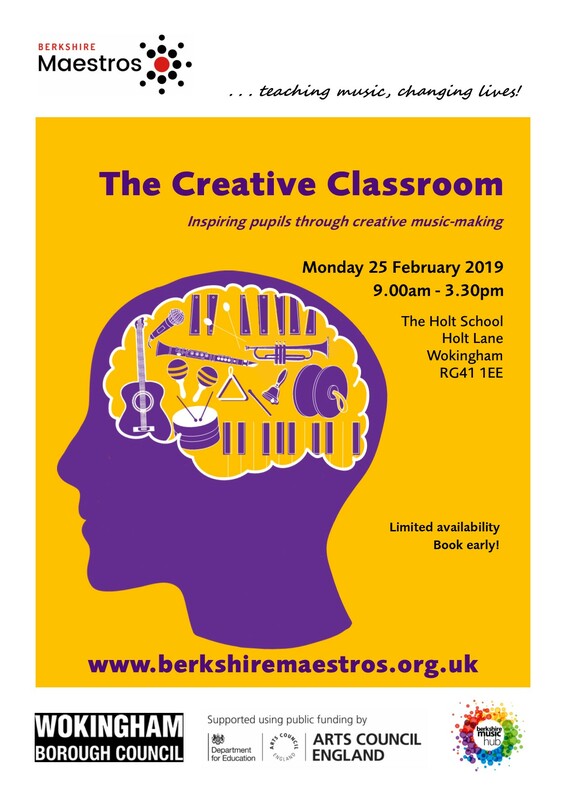 The Berkshire Music Hub, on behalf of the Wokingham Federation of Schools, is pleased to present an exciting and motivational music course for secondary music specialists and any colleagues working within and supporting the music classroom at KS3, 4 and 5 levels. The course provides a unique opportunity to work with professional musicians and experienced workshop leaders to explore diverse and creative ways to motivate pupils in the classroom. Areas of focus have been selected following requests and suggestions from members of the teaching community in Berkshire. The course is designed for secondary school music specialists and colleagues working within the KS3, 4 and 5 music sectors. Anyone teaching music or supporting music in the secondary classroom will find plenty to stimulate them on this course.